In algebra and functions, the coordinate system is an important help tool. You find the coordinate system a bit everywhere. If you have ever played chess, then you know that the board has letters and numbers on the side. 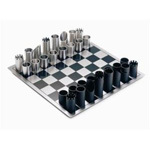 With the help of these, you can indicate the pieces’ positions. Our entire Earth is split up into a coordinate system with longitudes and latitudes. These are an invaluable help when we want to indicate a place on Earth. 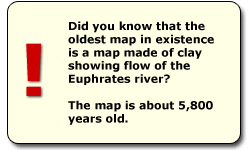 Maps have been used for a long time. Today, we often use a system called GPS - (Global Positioning System). This is also a sort of coordinate system.